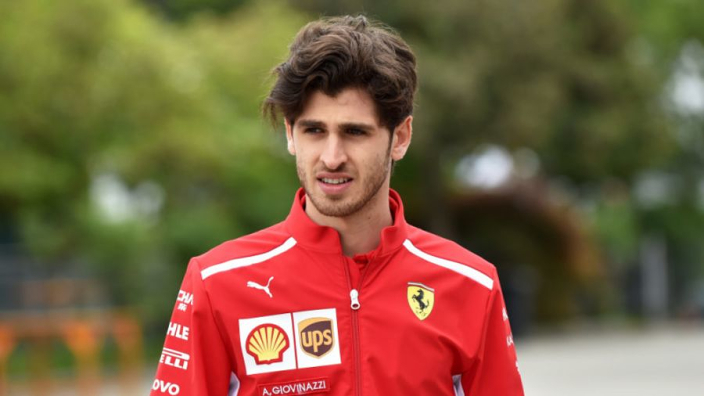 2019 Sauber recruit Antonio Giovinazzi has led calls for rear view cameras to be installed into F1 cars as standard, after drivers have criticised the inadequate mirrors that have led to Kevin Magnussen claiming that it is like 'driving blind'. Magnussen has been heavily critical of the view from behind currently available due to a 2017 adjustment to the rear wing, stating that pursuing rivals are often difficult to see. He said: "[At the moment] you've got the rear wing so when the guy's right behind you, you don't see. "These cars are really bad. You can only see him when he's at an angle, so either in a corner or off-set. Right behind you, you're blind." As a result Giovinazzi, who will drive full-time for Sauber from 2019, noted his experience in the 2016 World Endurance Championship, where rear view cameras were used, as a test case for what could be possible within F1. "Now it’s really difficult to see with the mirrors with the aerodynamics at the back of the car, so maybe a screen will help. Haas boss Guenther Steiner added that the possibiilty of rear view camera is currently being investigated. He said: "The technology is out there. It’s already available. We could do that, and I think it’s in discussion with the FIA at the moment. [F1 Race Director] Charlie Whiting is looking into it."